Paperback, 8.5 x 11 in. / 288 pgs / 15 bw. Preface by Ines Goldbach, Roland Waspe. Text by Jane McFadden, Marcia Hafif. Interview by Michael Ned Holle. 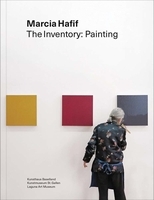 American artist Marcia Hafif (born 1929) helped radicalize painting in the 1970s with her monochrome works and drawings, gathered under the auspice of what she calls “The Inventory.” This volume documents one series, the Black Paintings. Edited by Rebecca McGrew, Nidhi Gandhi. Introduction and foreword by Rebecca McGrew. 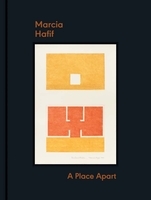 Text by Nidhi Gandhi, Marcia Hafif. FORMAT: Pbk, 8.5 x 11 in. / 288 pgs / 15 b&w.